If you are a believer in Christ and regularly study the Word of God, you are more likely to understand how one verse can speak to you differently today than it did in times past. Like an analogy a pastor gives to support his message, when the story is backed up by scripture, we see how the Word of God has a universal message for the church, but also how it relates to us as individuals. When the circumstances of life change, God’s living Word breathes life in an entirely new way. 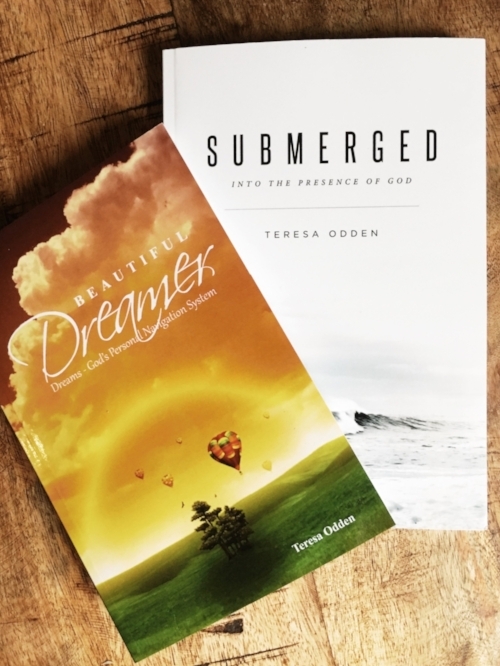 I believe the two dreams that follow symbolize how we can embrace our spiritual calling and the promises and processes of God. Switch out my name for yours, replace my calling for yours, and visualize what God is making known to you. The wisdom God grants will include what I cannot recall to memory. As soon as my dream ended, I was roused from my sleep. I looked at the clock and it was 1:11 in the morning; reinforcing a revelatory message from God. The dream started with an instruction: rest in God’s presence. The presence of the Holy Spirit results in the wisdom of God flowing through me. When I need to know the meaning, I will know it. 1:11 is a significant representation of the Trinity. The “1” separated by the colon represents my Heavenly Father. The “11” after the colon symbolizes Jesus and the Holy Spirit. All that Jesus does for us and through the help of the Holy Spirit is to bring glory to the Father. Pharaoh wasn’t a righteous man and yet God communicated to him through a dream. He knew this was no ordinary dream and was in search of answers. He found a godly man, Joseph, to interpret only what God could do. I knew that my dream was no ordinary dream, but the difference between one like Pharaohs and mine is that I have the Holy Spirit living in me who reveals the secrets of his heart. “Indeed, the Sovereign LORD never does anything until he reveals his plans to his servants the prophets.” Amos 3:7). Interpreting the dream while dreaming affirms that through the help of the Holy Spirit, I can expect an increased anointing to interpret dreams. Three months after the 1:11 Dream, I had another dream with the same message and in a similar format. I consider this to be a recurring dream. I saw the number 111. In Genesis, Joseph explained to Pharaoh the reason two dreams resembled the other. It’s difficult to convey the display and powerful move of the Holy Spirit that occurred in these two dreams. I was sound asleep and yet God brought light into my night as though I was hearing him during the day. God was speaking to me Spirit to spirit. How can you know what you need to know, and when you need to know it? Don’t skim scripture. Crave the knowledge and promises that lie between the pages of your Bible. God confirms his Word through pastors, teachers, dreams and visions, but they should not replace hearing God through his Word. What promises has God revealed to you, and repeated, that you’re still ignoring? Joe Ibojie states that recurring dreams or those that are similar in nature may occur because we have ignored God’s message the first time. Over the course of three years I had four dreams, with a corresponding message, to be a writer. When I had my first dream in 2013, I had no intentions or goals to be a blogger. I didn’t know it then, but God had firmly established his plans, and with his help, it came to fruition. There are several posts on this blog that are in reference to what God has called me to. The intent is for us to recognize what God calls us to is a process. Doing the Lord work takes time and when we listen to the Lord, day or night, we'll always make progress for the glory of God.